I personally select, balance and tune each stone in this set. 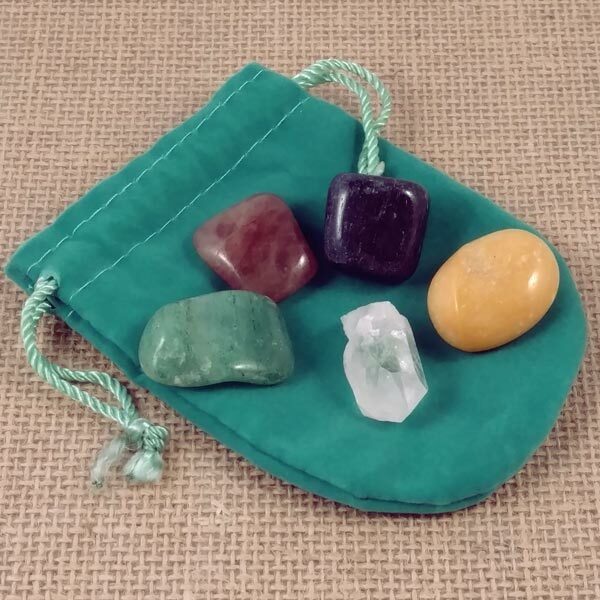 Includes one each of Green Aventurine (earth), Yellow Jasper (air), Red Aventurine (fire), Blue Aventurine (water), and a Quartz wand (spirit), a Personal Affirmation and Green Velveteen Pouch. Aventurine helps to reveal what makes us happy or unhappy. It pumps up our self-determination, individuality and stamina. Yellow Jasper provides the base to balance us at an elemental level.